U.S. mortgage insurer, Genworth, that has operations in Australia, released a report yesterday to Wall Street regarding its Australian residential mortgage insurance business. See report here. 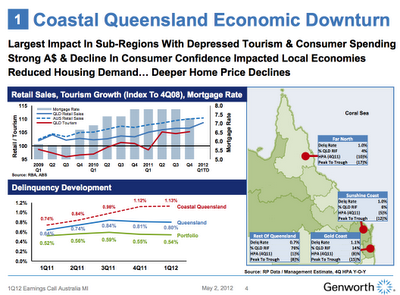 The report says that its overall performance by geography is solid, with the exception being Queensland. 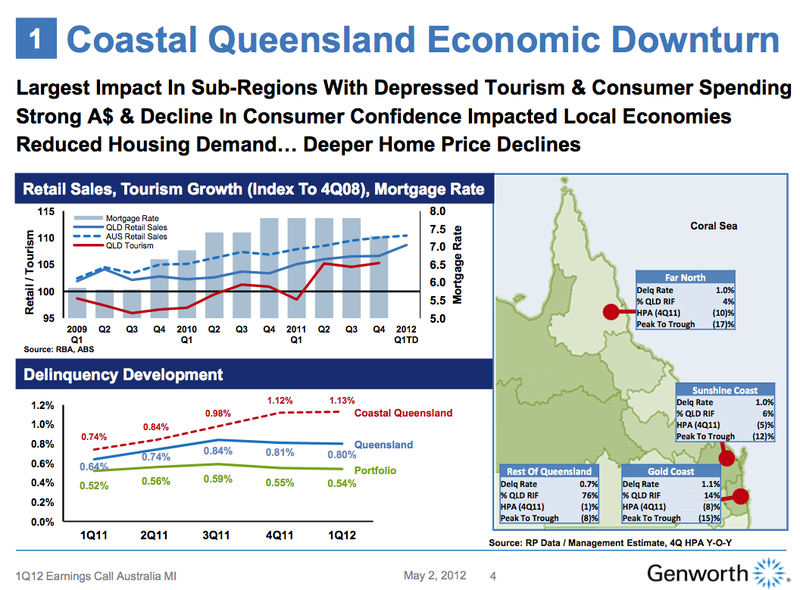 Coastal Queensland is particularly pressured. 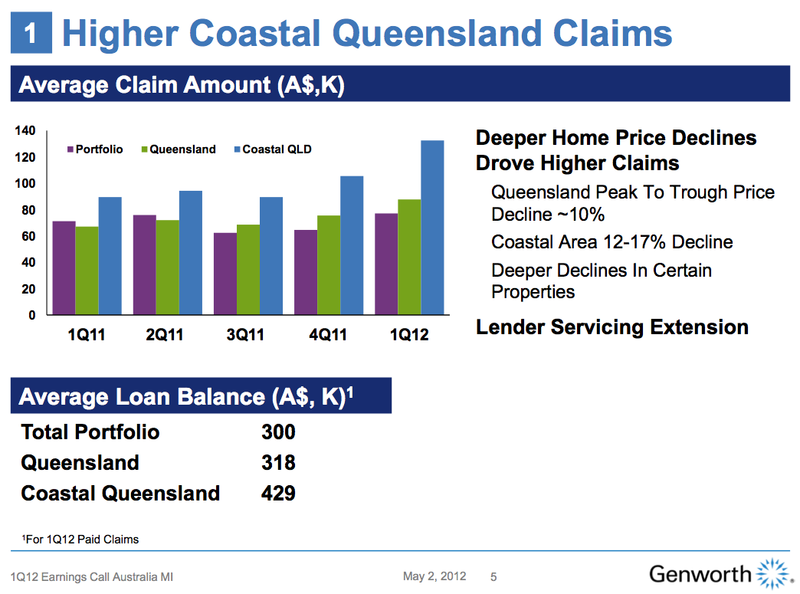 Delinquency development in coastal Queensland has risen to 1.13%, compared with 0.8% for Queensland and 0.54% across its loan insurance portfolio. The peak to trough decline in values is 17% for FN Qld, 12% for Sunshine Coast, 15% for the Gold Coast and 8% for the rest of Queensland. 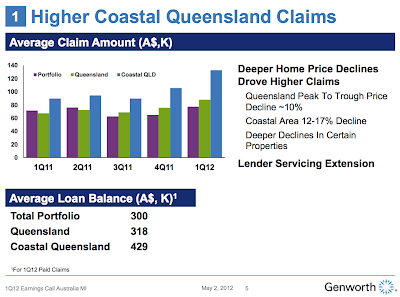 The average mortgage insurance claim in coastal Queensland has risen to over $120,000. This is significant enough to report to Wall Street. See article here. And note this article.